In 1991 I bought The Advancing Guitarist by Mick Goodrick. I purchased lots of instructional books at that time. Matter of fact, I was obsessed with instructional material. VHS tapes, books, music magazines… anything to help me get to grips with the mysteries of music. All of my other instructional books presented some sort of solution. They provided a method, a certain way of doing things. Do this exercise and you’ll become the fastest guitarist in the known universe. Learn this chord voicing and Miles Davis will call you to join his band. 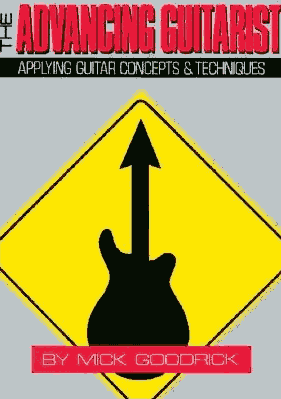 In “The Advancing Guitarist” there seemed to be more questions than answers. It made me quite irritated at first. Why spend my money and then still have to deal with all those questions about music? Even worse, more questions after reading through the book because it raised certain issues I wasn’t even aware of before. Hi, my name is Marko. 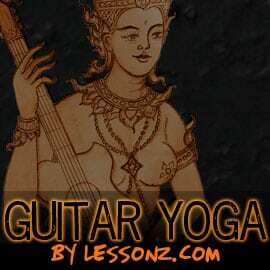 I'm a guitar teacher, I compose and produce music and I love to share my musical experiences as well as tips, tricks and techniques here on my site. Make sure to subscribe, so you don't miss a post.